Pamela S. Glean is a native of Hillsborough, N.C. After earning her law degree in 1980, she entered private practice in Greensboro, N.C. 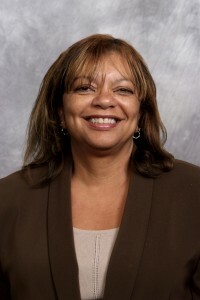 In 1996, she began working at North Carolina Central University (NCCU) School of Law and was later appointed the Director of the Clinical Legal Education Program. Under her leadership, the Clinical Program has grown from three to 12 clinical programs, and is ranked in the top 20 in the nation. While at the Law School, Glean has served as coach and advisor for the Trial Advocacy Team; a member and advisor of the Faculty Senate; and a member of the University Graduation Committee. She also teaches regularly for the National Institute of Trial Advocacy (NITA) and the Principal’s Executive Program. Dean Glean’s hobbies include gardening and traveling, especially to the beach. To access Dean Glean’s publications, click here.